The S&P 500 continued to climb higher after the dump in December last year. During March the S&P 500 added 1.8% and since a large portion of our net worth is tied to the whims of the market the direction of our net worth typically follows suit. Of course receiving over $1,300 in dividends sure did help. During March my net worth increased $21,376.13. For the month my net worth climbed 3.8% and its up 13.3% YTD. The rebound in the markets throughout Q1, as well as some solid cash flowing months, has seen a huge rebound for the balance sheet. 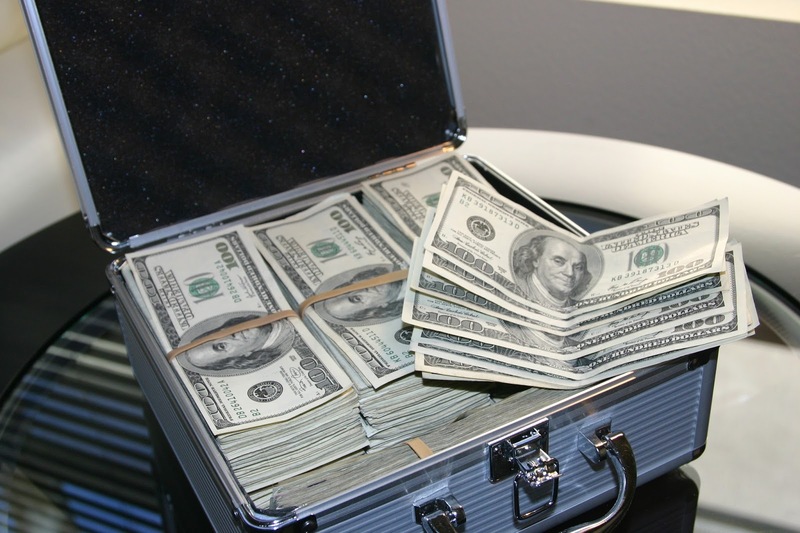 March marked the 3rd straight month of $20k+ increases to our net worth and both our assets and investments are back to all time highs that were previously set in September 2018. Our net worth is still ~$14.5k short of the high from September primarily due to the Hyundai Tucson that I purchased with financing in December. Our main goal for 2019 continues to be reducing our non-mortgage debt. 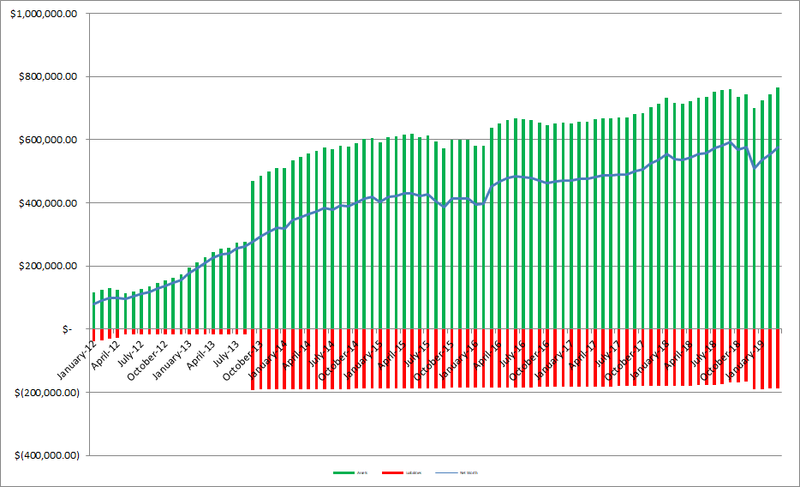 As of the end of March we have a roughly $29k of non-mortgage debt balance so we'll have our work cut out for us. However, for the time being conserving extra cash is going to take precedence since we have a new baby on the way coming in April! 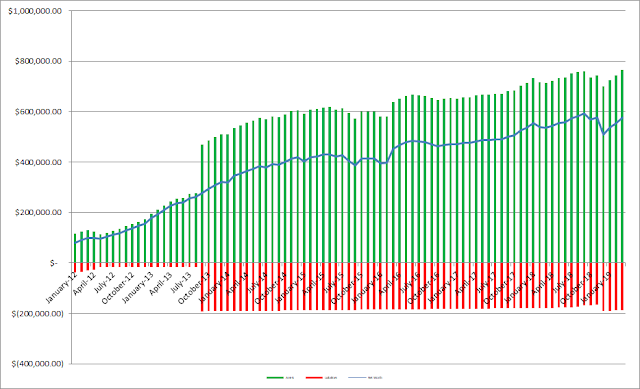 As of the end of March we have 27.6% equity in our house based on our purchase price from 2013. However, according to Zillow our house has increased in value around $36.1k from our purchase price which is a nice bonus, although I keep the purchase price as the value in the net worth equations. Based on Zillow's estimate the equity in our house jumps to 37.9%. In order to give you a general idea of the breakdown of my net worth I include a % breakdown of our net worth with each monthly update. The assets are broken down into cash, taxable investments, tax advantaged investments (401k, Traditional & Roth IRAs), house (using our purchase price) and other which covers things like our cars and various collectibles from when I was a kid and deeply discounted (they don't really move the needle at all but I have them in my spreadsheet because I was bored). Since I write so much (or at least try to) about investigating companies as an investment I figured it'd be fun to see how our balance sheet looks. 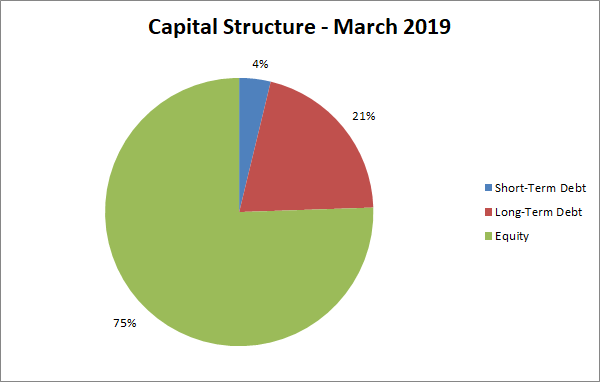 At the end of March our debt to equity ratio is 32% and our debt to total capitalization is 24%. Not bad, but I can't wait to get that debt down to ZERO! 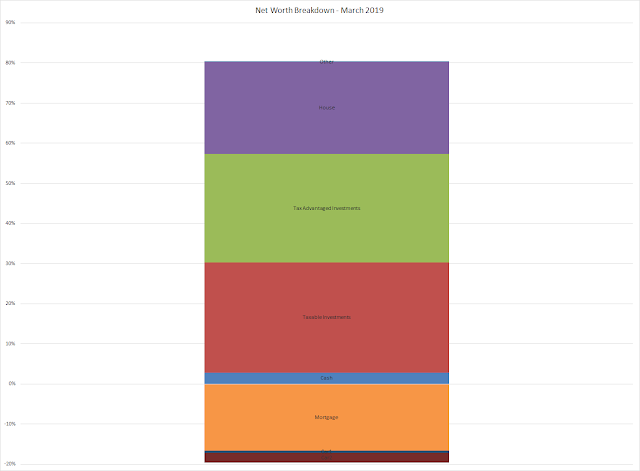 How did your net worth fare during March? What about for the first quarter of 2019? 3.8% increase MoM and 13.3% YTD is very impressive. Congrats on a solid month.